Balthasar Ludwig “Louis” Schmidt (1835-1908) was one of the original Schmidt immigrants to come from Machtlos, Germany and settle in America. Louis ended up in Washington, DC, where he operated a popular restaurant/tavern on Seventh Street NW from 1875 until his death (after which the business was carried on by his son Milton until Prohibition put them out of business). 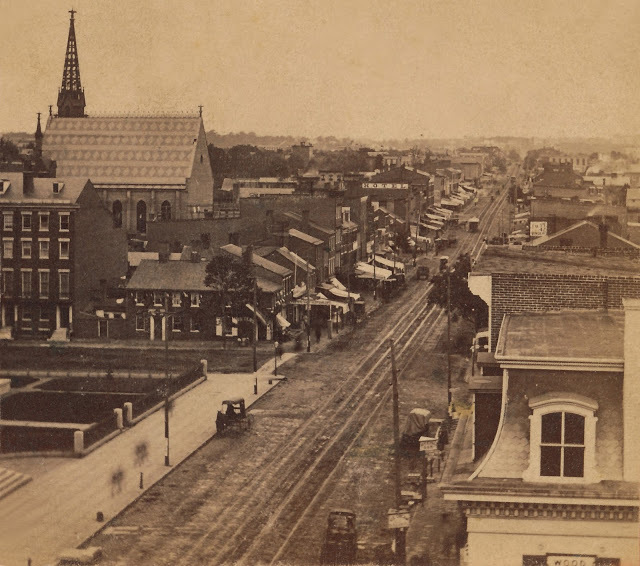 In the first half of the 19th century, Washington City’s commercial life first took root along Pennsylvania Avenue between the White House and the Capitol. But Seventh Street was next in line to develop, for several important reasons.